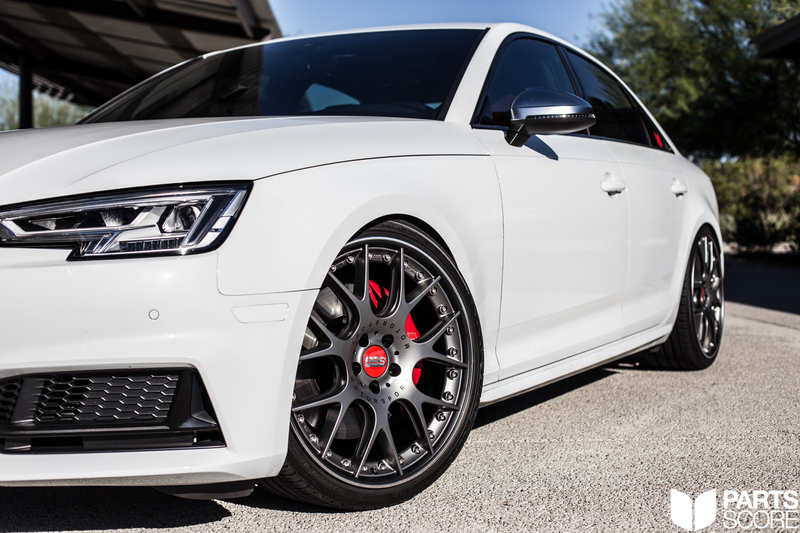 Wheels are one of the easiest things an owner can do to completely change the look of their car and nothing looks better on a brand new B9 S4 than a set of multi piece 20″x9″ BBS CHR-II Wheels with Satin Platinum centers and black lips wrapped in Toyo tires. 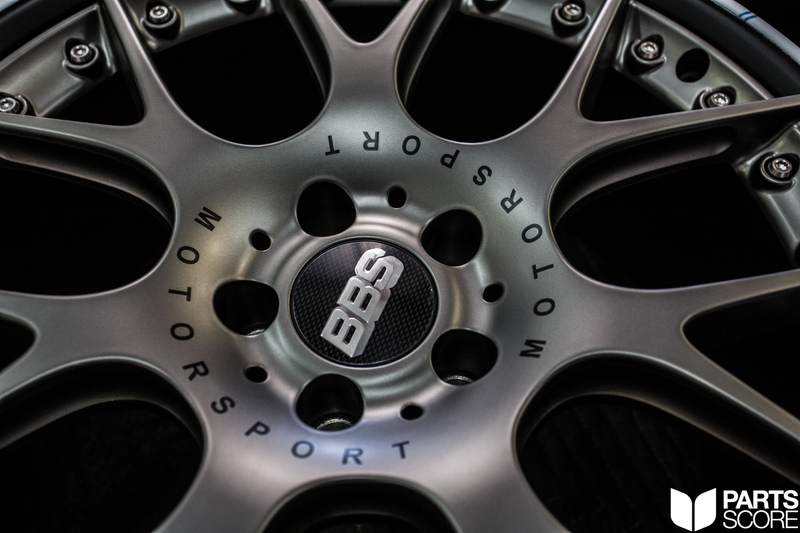 BBS has spent decades refining their craft of making the best wheels in the industry. With technology derived from racing no other wheel comes close to offering such a cohesive package of performance, light weight, and proper style. BBS has engineered their wheels to be a direct fit and they do not require the use of any spacers on the B9 platform; in addition the fitment is perfect when paired with a set of H&R Coilovers or a KW H.A.S. Kit. Click here to read more about H&R Coilovers on the B9 Platform, and click here to read more about the KW H.A.S. Kit for the B9 Platform. BBS offers a wide variety of wheels for the B9 Platform which includes the B9 A4, B9 A5, B9 S4, B9 S5, B9 A5 Sportback, and B9 S5 Sportback; pairing well with a performance wheel upgrade would be a stickier tire than what Audi offers from the factory. Toyo T1 Sports or Michelin Pilot Sport 4S tires would be our top recommendations although both stickier summer tires and longer lasting all season tires are available in the sizes that we recommend. 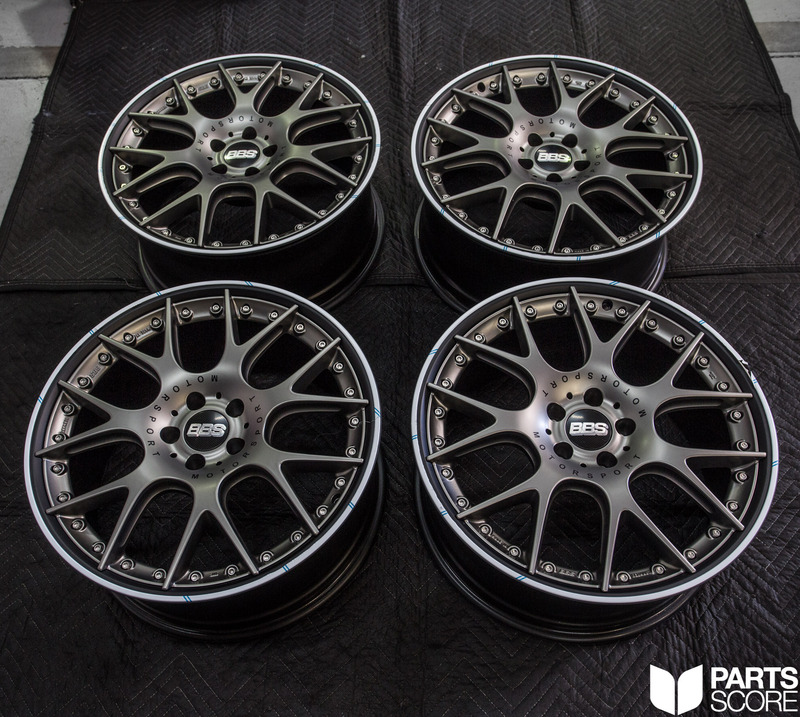 Below we have included a set of photos featuring a B9 Audi S4 with 20×9″ BBS CHR-II’s, to place an order for these wheels or any other B9 modifications please call 602 814 6543 or email us at contact@partsscore.com and speak to one of our modification specialists! 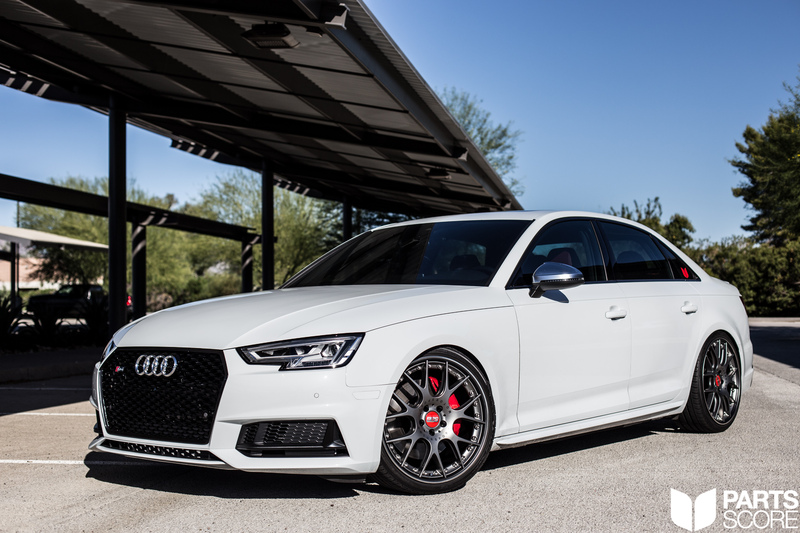 In addition, the S4 featured in our article here is owned by Audi Brand Specialist Louis Martinez who works at Audi North Scottsdale, when are looking for your next Audi make sure to ask for Louis! BBS CHR-II Wheels! These will look incredible on the B9 S4! Here are all of the wheels laid out prior to installation on the S4. Off the rack and looking amazing! The Red BBS Caps fit the red touches on the S4 perfectly. Looking good sitting on the H&R Coilovers!